According to the Anti-Defamation League, Antisemitism is the belief or behavior hostile toward Jews just because they are Jewish. It can take the form of religious teachings proclaiming the inferiority of Jews, or political efforts to isolate, oppress, or otherwise injure them. It may also include prejudiced or stereotyped views about Jews. Hostility toward Jews dates to ancient times, potentially to the beginning of Jewish history. The International Holocaust Remembrance Alliance states Antisemitism frequently charges Jews with conspiring to harm humanity, and it is often used to blame Jews for “why things go wrong.” It is expressed in speech, writing, visual forms and action, and employs sinister stereotypes and negative character traits. Since its inception in 1918, the Hebrew University of Jerusalem (HU) has been an educational institution open to people of all backgrounds and committed to fighting injustice. In 1982, HU became home to the Vidal Sassoon International Center for the Study of Antisemitism (SICSA). The renowned hairstylist, philanthropist, and entrepreneur, Vidal Sassoon, supported the establishment of the center because he was shaken by the Holocaust and his post-WWII experiences with Antisemitism in England. SICSA is an interdisciplinary research center dedicated to an independent, non-political, and critical approach to understanding the phenomenon of Antisemitism. 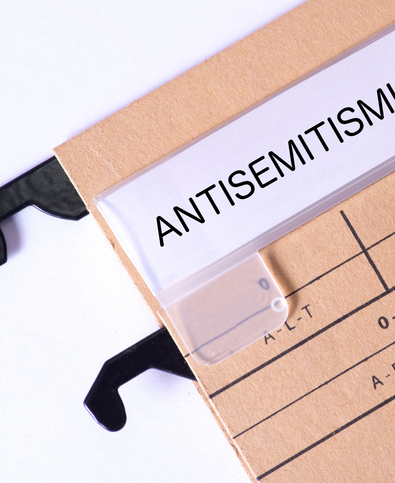 In more recent years, it has sought to leverage its proven expertise in order to create a unique space within academia for vibrant, intellectual discourse on antisemitism as a historical, political, and social issue — both in the past and the present — that affects human society, and Jews in particular. Every day, Hebrew University scientists and experts collaborate to bring life-changing research and innovations and to the world. Subscribe to our mailing list for the latest news from Hebrew University.